Employers conduct different types of job interviews, such as behavioral interviews, case interviews, group interviews, phone and video interviews, second interviews, and even interviews held during a meal. Those are important job interviews to understand if you’re searching for a job, but there are other interviews you may experience throughout your career. These employment-related interviews include exit interviews, mock interviews, and informational interviews. Interviewers use behavioral based interviews to determine how you’ve handled various job situations in the past. The idea is that your past behavior predicts how you’ll act in the new job. You won’t get many easy “yes” or “no” questions and in most cases, you’ll need to answer with an anecdote about a previous experience. Interviews that include the interviewer giving you a business scenario and asking you to manage the situation are called case interviews. They’re most often used in management consulting and investment banking interviews and require you to show off your analytical ability and problem-solving skills. Interviews that require you to give examples of specific skills are called competency-based interviews, or job specific interviews. The interviewer will ask questions that will help them determine if you have the knowledge and skills required for the specific job. An exit interview is a meeting between an employee who has resigned or been terminated and the company's Human Resources department. Companies conduct these types of interviews, so they can learn more about the work environment and get job feedback. You may be asked why you left your job, why are you taking a new job, and what would you change about your job. These tips will help you handle an exit interview so you can move on gracefully. The final interview is the last step in the interview process and the last interview you find out whether or not you’ll get a job offer. This type of interview is usually conducted by the CEO or other members of upper management. The key to a final interview is to take it as seriously as all the preliminary interviews — just because you were asked in for a final interview doesn’t mean you got the job yet. Employers may hold group interviews because they’re often more efficient than one-on-one interviews. There are two types of group interviews: one involves an applicant being interviewed by a group (or panel) of interviewers; the other involves one interviewer and a group of applicants. An informational interview is used to collect information about a job, career field, industry or company. In this case, you’re the interviewer and you find people to speak with so you can learn more about a specific field. One of the reasons employers take job candidates out to lunch or dinner is to evaluate their social skills and to see if they can handle themselves gracefully under pressure. Remember you’re still being observed so use your best table manners, choose foods that aren’t too messy. A mock interview provides you with an opportunity to practice for an interview and receive feedback. Although you can do an informal mock interview with a friend of family member, a mock interview with a career coach, counselor or university career office will give the best feedback. Employers sometimes schedule job interviews in a public place, like a coffee shop or restaurant. Perhaps there is no local office or maybe they don’t want current employees to know about the possibility of a new hire. In any case, it’s good to be prepared for off-site interviews. Sometimes you’ll be expected to do an on the spot interview. For example, you may turn in your application and be asked to do an interview right away. Or when an organization (typically retail or hospitality) announces they will be holding open interviews on a specific date. In situations like these, hiring personnel use on-the-spot interviews to screen applicants and immediately decide who should and should not be included in the next step of the recruiting process. A panel job interview takes place when you’re interviewed by a panel of interviewers. You may meet with each panel member separately or all together. And sometimes there will be a panel of interviewers and a group of candidates all in one room. While you're actively job searching, you may need to be prepared for a phone interview on a moment's notice. Companies often start with an unscheduled phone call, or maybe you’ll get to schedule your call. In either case, it’s good to be ready. You passed your first interview and you just got an email or call to schedule a second interview. This interview will be more detailed and may be several hours long. A structured interview is typically used when an employer wants to assess and compare you with candidates in an impartial way. Essentially, the interviewer asks all the candidates the same questions. If the position requires specific skills and experience, the employer will draft interview questions focusing exactly on the abilities the company is seeking. An unstructured interview is a job interview in which questions may be changed based on the interviewee's responses. 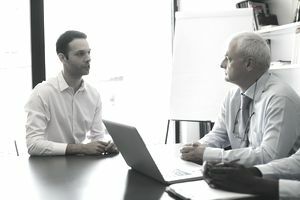 While the interviewer may have a few set questions prepared in advance, the direction of the interview is rather casual, and questions flow is based on the direction of the conversation. Unstructured interviews are often seen as less intimidating than formal interviews. However, because each interviewee is asked different questions, this method is not always reliable. Perhaps you’ve applied for a remote job or you’re interviewing for a position in another state (or country). Software programs such as Skype and FaceTime making video calling easy and video interviews are becoming more common.